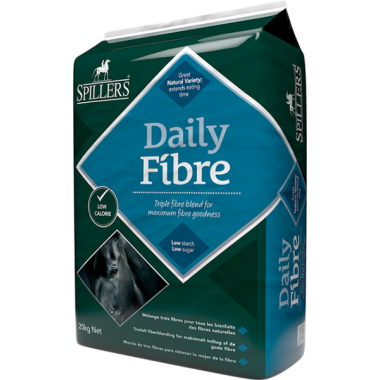 SPILLERS Daily Fibre contains a palatable blend of soft fibres to ensure your horse gets maximum fibre goodness. Includes chopped alfalfa which is high in quality protein and organic minerals. Added straw and grass nuts provide natural variety and texture. Low in starch and sugar to support digestive health and reduce the risk of excitability. Short chopped fibre helps to extend eating time. The ideal complement to traditional compound feeds and balancers.